Varnish a reverse proxy which gives you a real speed boost to WordPress. Running Varnish on this web server means I get a second load time, without Varnish the page load time would be 3+ seconds due to the slowness of PHP and all the WordPress plugins I use. Luckily, I host on a Digital Ocean VPS where you can install and configure Varnish very easily. I was recently DDoSed for the first time and wanted to use something besides Cloudflare for DDoS protection. 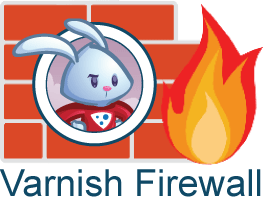 Varnish 3 had many firewall vmods to deal with threats. In this tutorial I use the vsthrottle vmod and the Shield vmod. Throttle detects if there are too many requests per second and shield resets the connection if the request threshold has been reached. I will assume you already have Varnish 4 configured and working. This guide will work behind CloudFlare and with Varnish 4.0 and Varnish 4.1. This is not a substitute for a full web application firewall but will do a good job of mitigating WordPress DDoS attacks. There is likely possible improvement to the vcl code so please share your thoughts in the comments. The vsthrottle vmod measures the requests per second and the shield vmod can reset the connection of the request threshold has been reached. In your sub vcl_recv section put the red lines at the bottom of your sub vcl_recv. 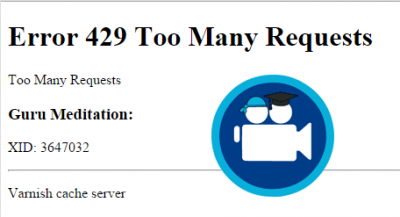 It is using vsthrottle to detect the number of requests and if it exceeds 15 requests per 10 seconds the shield vmod is used to reset the connection. You can also change the error message Too Many Requests to whatever you want. Only the red section is necessary. You can also test your Varnish DDoS Protection by opening your browser, open your Wordpress site’s login page and hit refresh like crazy.